Need Supply not only carries a bunch of great clothes and brands, it also has expressly-made products that you can&apos;t find anywhere. We&apos;re not talking about just a T-shirt or button-down shirt, but pairs of Alden shoes and boots. 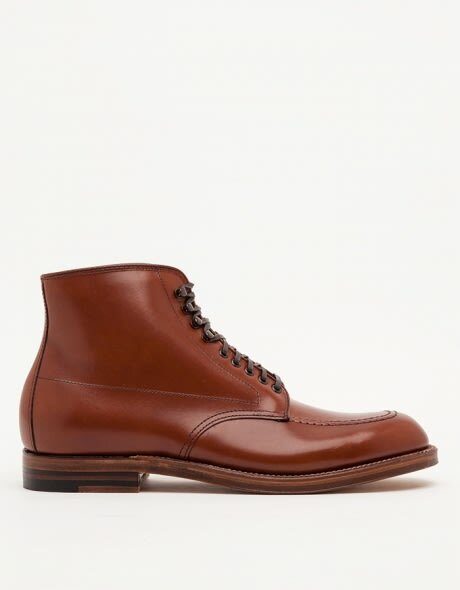 For its latest stock of items we&apos;re co-signing, Need Supply got its hands on a pair of Alden Church Hill Indy boots. They&apos;re just like the Indy boots you love, but a little dressier. These can still be your fall boot, but you can easily wear them with a suit, into the office, or to meet your girlfriend&apos;s parents. They feature a vegetable-tanned leather upper, Goodyear welt, and are Made in USA. Instead of just beating this pair into the ground, you might want to give them a shine from time to time. Click here to purchase or get more information.